There are many ways to support the mission of CISS. Some simple things to do are to collect our "Top Need" items and bring them to the shelter or come down and help serve lunch. Volunteers can help on big projects, serve on committees, or help with daily needs either on a regular basis or once in a while. Want to volunteer? Check out our opportunities below and contact Melissa Gradischnig at melissag@centraliowashelter.org or (515) 564-5752 to get started. View our Volunteer Opportunities here to get involved! We recognize that many volunteers come to us with special skills or interests. If you would like to share those skills or interests with CISS, either directly with our clients or indirectly to impact the organization, we can design a volunteer opportunity based on your specific skills. For example, skilled volunteers from Emergency Management Planners, Integrated Resources Corporation, and Johnson Communications have been giving back to CISS using their IT skills and helping our team transition to more effective technology. The team at CISS is participating in a training offered by Volunteer Iowa and Points of Light to become a Service Enterprise organization, which means we are creating more ways to leverage our volunteers to better help us achieve our mission. With certification as our goal, we are energized and excited to revamp our volunteer programming and connect our volunteers with opportunities to truly make an impact on our clients. 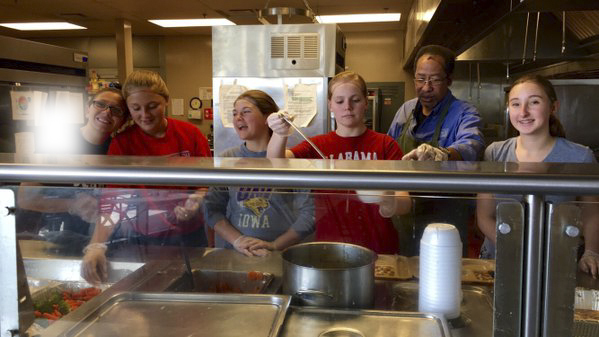 Visit Volunteer Iowa to learn more about the Service Enterprise Initiative.